August 18, 2016. Istanbul. Basaksehir Fatih Terim Stadium. Att. 3,016. 24 degrees. Shakhtar's starting line-up had two changes. Compared to the match against Karpaty, Marlos replaced Wellington Nemon the right flank, and Facundo Ferreyra appeared in the attacking third instead of Yevhen Seleznov. 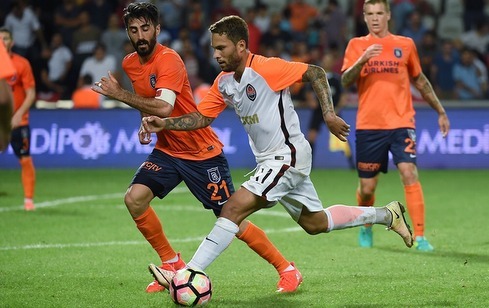 The match with Istanbul Basaksehir was an anniversary for two Pitmen's players at once - the team's captain Darijo Srna appeared in his 500th game in the orange-and-black jersey, and Yaroslav Rakitskyy - his 250th. Paulo Fonseca's squad seized the territorial advantage right from the start. The Pitmen changed flanks destabilizing the opponents' defence. The first real chance for an opener happened 21 minutes into the match - Marlos took a shot aiming at an empty corner from around the penalty spot, but the ball hit a defender. The Brazilian soon redeemed himself with an assist. The number 11 took a corner and his cross to the far post was completed by Yaroslav Rakitskyy with a one-touch shot. The ball deflected off Chikaleshi and hit the net. In the 41st minute, the Orange-and-Blacks scored again. Taras Stepanenko made a high cross from the left flank, and Viktor Kovalenko made a great header. As for the opponents, Istanbul Basaksehir had only one scoring opportunity. In the 37th minute the Çikalleshi's attempt was saved by the Pitmen's Andriy Pyatov. The pattern of the game has not changed. The Donetsk team kept the initiative, conducting positional attacks, since almost all of the opponents' team closed off in their half of the field. Nevertheless, it was the Turks who scored. On 55 minutes,Yaroslav Rakitskyy brought down Višća in the penalty box, and the referee awarded a penalty kick. The home team's captain Emre Belözoğlu scored with a precise and powerful shot into top corner of Andriy Pyatov's goal. Reanimated, Abdullah Avci's team started going forward, allowing more free zones for Shakhtar. On 70 minutes, Istanbul Basaksehir was miraculously saved from conceding a third goal. Fred started a counterattack, passed to the oncoming Marlos in the penalty area, but the latter's attempt hit the post. In the dying minutes, the Pitmen controlled the game which ended with a score of 2-1. The return leg will take place in one week in Lviv. 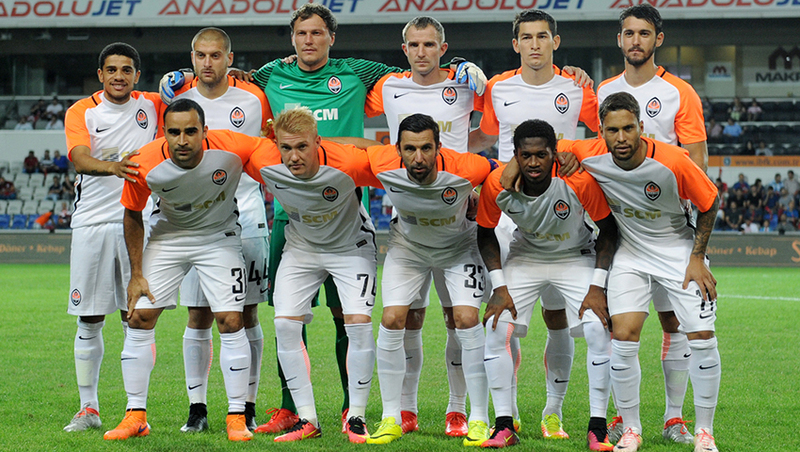 Shakhtar will hold the next match on August 21. Their opponents in the 5th round of the Ukrainian Premier League are Dnipro. The kick-off is at 5:00 pm.